Ainslie, in your new book The Ultimate Secret for Business www.secretforbusiness.com you write that you believe business leaders should follow a holistic approach to management. What do you mean by this? As I studied the management style of hundreds of business owners and leaders over the past fifteen years I found they typically fall into two categories. One is the most prevalent and this is where the leader focuses initially on his/her area of strength and then works outward from there. For example if your background is sales, your thought process always begins with asking yourself How can we get more and better sales? Someone with a human resources background might ask How might we optimize the effectiveness of our team? The other type of leader makes decisions from a place of balance, looking at all areas in a holistic manner. I believe this is the better approach. We read your review of Tim Grizzle’s book Creating Wealth in a Turbulent Economy www.suttonhart.com . In it you write that his advice is “Dead on right for anyone who wants their business and personal net worth to flourish in America’s current financial situation.” Yet Tim, who clearly focuses first on the numbers when he counsels clients and in his own companies, doesn’t fit your mold for the holistic type of leader you advocate. How do you reconcile the difference? First I should say that I’m a big fan of Tim Grizzle because he knows how to make money; year after year, in any economy and that is the primary goal of every business and investor. I think the seeming difference in our philosophies isn’t contradictory at all; rather, it is more the nature of where we start in the advisory process. Tim’s clients are typically asking whether or not to make an investment, purchase a business or a parcel of property. In that case I’m in total agreement; the first step is all about the numbers to decide if the action makes good business sense. In contrast, business owners will come to me to find out what’s wrong with their company or how it can be tuned for maximum profitability. Then a holistic approach is absolutely necessary. Where did you get the idea for The Ultimate Secret for Business? As with so many situations in life, paths become visible to us when two unrelated things come together seemingly coincidentally. When I was presenting my Accelerated Business Strategies for small businesses at a Mensa conference I connected with a fiction publisher who was looking for several innovative business titles to launch a non fiction imprint. The very same day my firm’s business manager was telling me she felt bad that we had to turn away the majority of company owners seeking our counsel because we’re limited in the number of clients we can serve at one time. We talked about doing a report or white paper on my Accelerated Business Strategies so we could at least pass along some ideas business people could implement on their own. The logical solution was to accept the book deal and to quickly write The Ultimate Secret for Business. 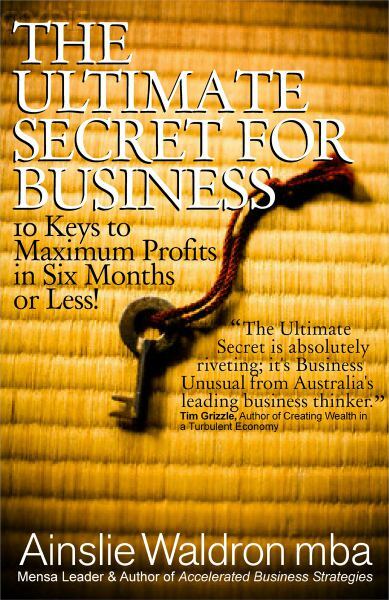 What’s the premise of The Ultimate Secret for Business? The book is a blueprint for a company of any size to achieve its maximum potential in six months or less. It’s based on my theory of Accelerated Business Strategies which I’ve developed over the past 20 years using real-time input from my consulting practice. In essence I’ve seen that every company, whether two employees or two hundred, has some or all of ten barriers to success that are often invisible to the owners. The Ultimate Secret is to identify and remove those barriers which then frees the company to achieve the great things the owners had in mind the day they opened. In a barrier-free environment the Accelerated Business Strategies are easy to implement and the results can be astounding. It’s important information and I wish every company would do it; entire economies could recover with a wave of achievement in the small business sector. Can you give us an example of these hidden barriers to success? Sure, the first one is really easy to spot. I tell business leaders to ask themselves “What irritates you most daily?” and I’m talking about that thing that peeves them when they get to work, that troubles them on the way home, and disrupts their sleep from time to time. That thing is your first barrier to success. It takes away your creative energy and typically it is an irritant within the company but no one is talking about it because you, as a manager, tacitly approve of it because of your inaction. Some example would be a hostile receptionist, a less-than-capable brother in law in charge of marketing, or even a supplier taking you for granted or even holding you hostage. In your holistic approach to helping companies where does finance come in? I think that question defines the difference we’re talking about between Tim Grizzle’s work and my own: He helps people develop accurate financial models for business decisions and I seem to come in when business owners are ignoring what some of those models are telling them. The hostile receptionist will cost a company in terms of sales, your brother in law will cost your firm money in terms of missed opportunities due to poor marketing, and a supplier holding you hostage eliminates the financial benefits that come from free, fair, and open competition. At the end of the day it’s lost profits and another barrier to achieving maximum success in your business. Can you share a final piece of advice from your book for business owners who have gotten past these barriers? Once past the blockages you’re on a whole new playing field and it’s time to do something very bold. Perhaps identify a profitable niche market where your competitors have withdrawn in their cost reduction efforts; then win that market with modest advertising and your daring new presence. That’s why we call them Accelerated business strategies; one big strategic move and your company jumps many steps forward on a success timeline. Do this a few times and you’ll reach your company’s maximum success level in a surprisingly short period of time. MBA, Author, Speaker, Consultant to remarkable businesses. 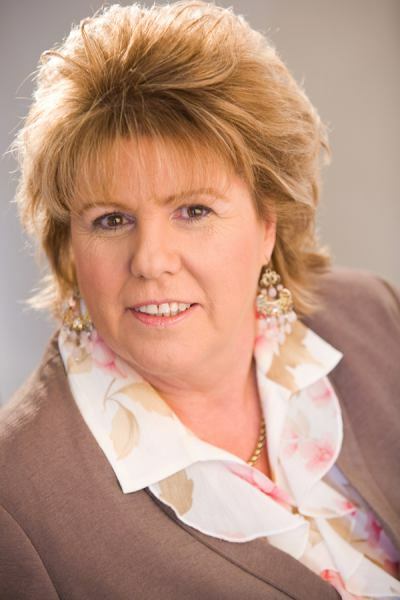 Mensa leader Ainslie Waldron is the originator of the Theory of Accelerated Business Strategies which concludes that it’s possible for any business to achieve their maximum level of success in six months. She is a management consultant with clients in the United States, Australia and in Europe. She speaks regularly at business events and her commentary was recently featured on Forbes.com and in other leading publications. In her book The Ultimate Secret for Business (Sutton Hart), Ainslie reveals her groundbreaking method for any business leader to identify every barrier to success in a company and then eliminate them to fast-track success.